This Tuesday saw the end of an era in Dutch history: for more than a century the Dutch throne had been occupied by queens, but on 30 April Queen Beatrix abdicated to make way for her son, Willem-Alexander. 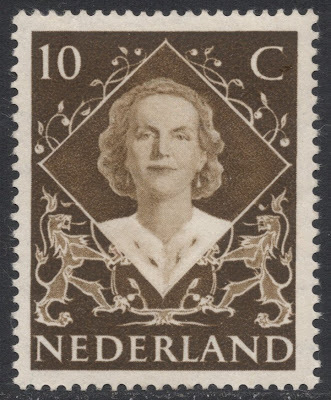 Another break with tradition is the issue of so-called ‘Coronation’ stamps – Dutch monarchs do not actually get crowned – which do not feature the portrait of the new monarch. The Coronation stamps, issued on 1 May, only feature the new king’s initials WA. A very modern and original design, which reiterates the country’s reputation for issuing modern - and slightly wacky - stamps. The colour scheme is symbolic, of course. The Netherlands 1 value includes the Dutch tricolour of red, white and blue. The Netherlands 2 value sees the red being swapped for green. This is to symbolise the former prince’s association with environmental issues. 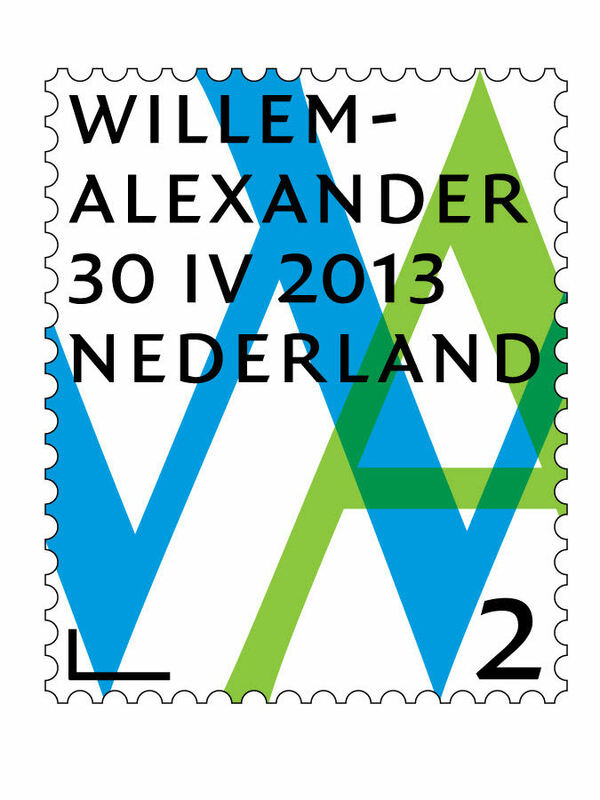 Water management was the specific topic in which Willem-Alexander specialised when he took on official public duties, so the blue could remain to symbolise water. As usual, the stamps will serve as provisional definitives as well, until the issue of proper definitives later this year. That was also the case with the coronation stamps for Beatrix (now princess again), who became queen in 1980. 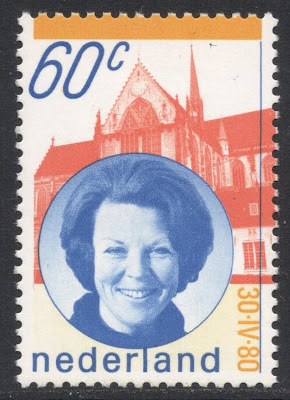 Her stamps made use of a very personal portrait, which was a representation of Beatrix as the ‘princess with the smile’, which was how she was known. The photograph was taken by her husband Prince Claus. The church in Amsterdam where the inauguration ceremony took place was also depicted and the stamp colours again included the Dutch tricolour and orange for the House of Orange. 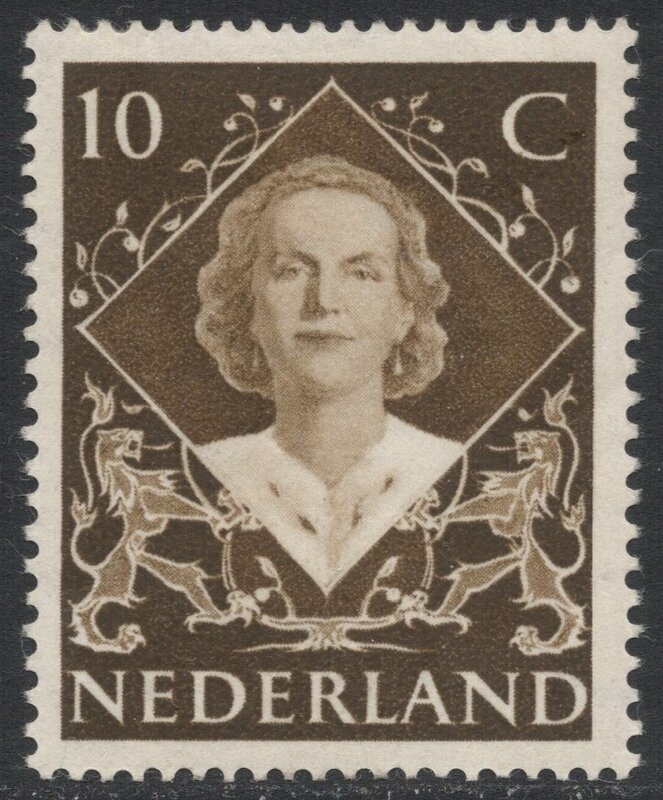 Queen Juliana, who acceded to the throne in 1948, did not have any specific coronation stamps. 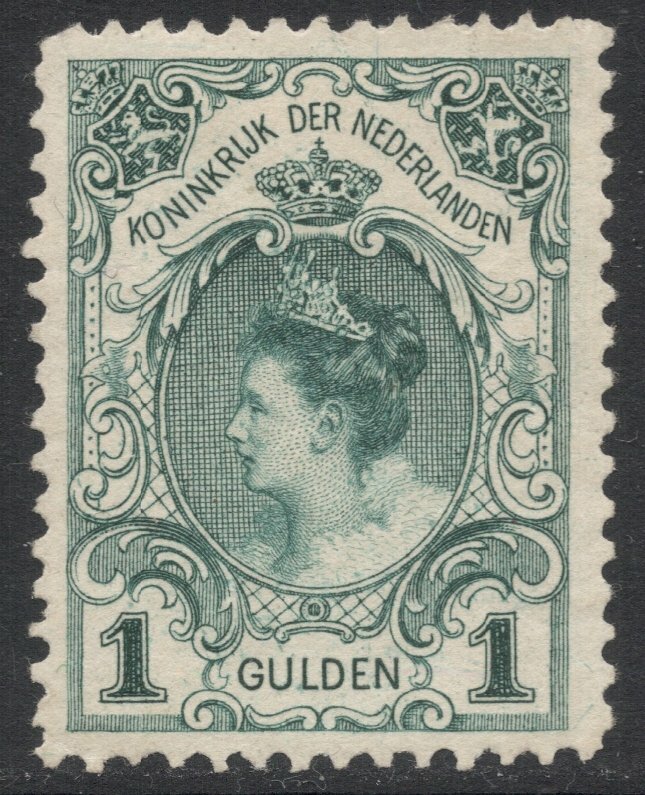 At that time, the Dutch postal authorities mainly hoped to have a new definitive set ready when she would become queen. 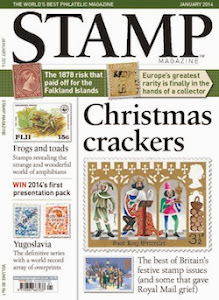 Unfortunately, the eventual design proved rather unsuitable for the traditional small-format definitive stamps, so a final-hour decision was made to just issue two large format stamps for the most common postal rates and start working on a new definitive set. The two stamps have therefore become known as Coronation stamps, even though they’re technically not. That was also the case for the coronation stamp issued for Queen Wilhelmina in 1898, which is also the first of its kind issued in the Netherlands. Wilhelmina became queen in 1890 but as she was only ten years old at the time, her mother Emma took on the role as queen-regent. It would, however, be Wilhelmina whose portrait would grace the nation’s definitives. The forthcoming inauguration was the perfect moment for the postal authorities to replace the portrait of that young queen with one of a more adult version. One would think there was plenty of time to prepare such a set but there were so many hitches in the design phase that when ‘The Day’ drew near, only one value was more or less ready to be issued. Again, this stamp, which was basically just a definitive, would enter history as the Coronation stamp. 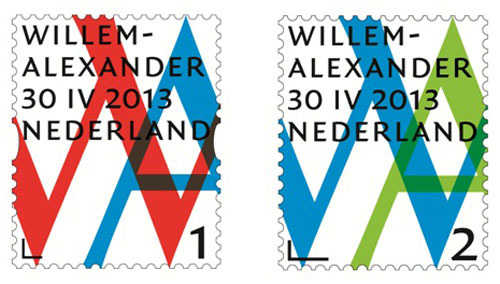 Is it me, or does anyone else find those new stamps quite hideous? I'm sure it's not just you, but I really do like them. At least they're original and I'm glad they didn't go for a cheap option of just slamming a pic on a stamp with a caption. I like them but cannot understand the squeemishness about a coronation. If you're going to have a monarchy you might as well go all the way, no? Will a portrait stamp eventually replace these? The Dutch had 'suffered' so many different forms of state control, having had princes, occupying kings, republicans, you name it,that when they reinstated the monarchy in 1813, they really wanted to limit the power of the monarch, hence all these special rules. The monarch becomes part of the government (rather than being at the head of the government) and that is for example the reason why Prince WA was not allowed to be inaugurated in full military dress, because the Dutch constitution does not allow any military persons to be part of Dutch government. As for new stamps, a proper definitive will be issued in November, but it is not yet known what the design will be like. You can follow events in our website's forum thread (just search for Beatrix).